Every mom wants a mom tribe. Even though we may deny it at times or stuff the feelings down, we all want to feel like we belong. There is a desire to have a community where you know others have your back. A place where you can let your guard down and still be loved. I am sure I am not alone in saying it can be tough to build a mom tribe. Building strong, healthy friendships as a mom is trickier than you would think. I have made my fair share of mistakes in the journey of it. 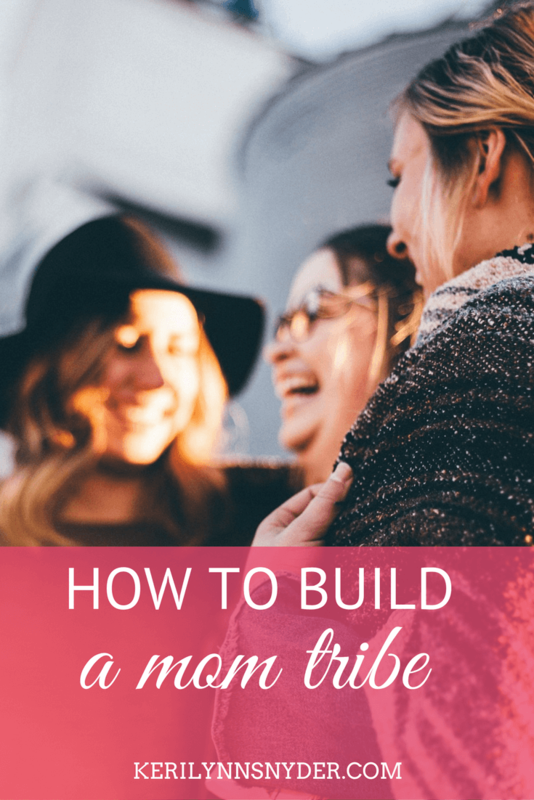 If you are wanting your own mom tribe, know that it can happen! Here are some tips to remember along the way. When you are a kid or in college, you are constantly surrounded by friend options. It is easy and natural to build a tribe because you are already doing life together. However, as a mom, it is easy to hide in the shadows of your home and routines. We get busy and then we get lonely and wonder why everyone else has friends, except us. The truth is that you need to take the first step. Be bold and brave. Join a mom’s group, say hello to the mom you see every week at the gym, reach out to another mom who is alone at the park. All it takes is one person being the one to step out and be brave. Friendships take time to build. A friend from college and I were talking about how easy college friendships seemed. However, we realized something. In college, you are living together, which naturally escalates the friendship to a deeper level. As moms, we have so many other things going on. Friendship building time is limited, so it takes longer. I struggle with this one. I want to jump in deep and connect over all the things. Thankfully, my husband gently reminds me that is not always going to work (I may have scared off a few people with this method). Take it slow and be patient. As you build a mom tribe, there needs to be honesty and openness. This is vital to a healthy mom tribe. The only way to truly grow closer as friends, is to communicate. I remember a big disagreement I had with a friend when I was a new mom. Thankfully, we eventually talked it out and were able to grow closer because of it. The hard moments can either drive a wedge in your friendship or drive you closer together. Share the good and bad. We live in a world of social media where the highlights are broadcasted everywhere. We all know the good about each other. A mom tribe is a place to share the good and the bad. Motherhood is an adventure and is full of some of the hardest moments. You need people who will be constant in this time. Our pastor often says that friends are like elevators they either take you up or down. Every time he says this, I am reminded of the importance of choosing friends who build me up. We become like the people we spend the most of our time with. Look at your closest circle of friends, where are they leading you? Moms, we need each other. Life is so much better when we do it in community. I encourage you to focus in on these tips and work on building your own mom tribe. If you already have a mom tribe, take a minute to tell them how grateful you are for them, and do not forget to keep your eyes open to the lonely moms you may be able to bring in. Together, we can encourage, build up, and thrive as moms. Want some great laughs about mom friendship? If you have not read Women are Scary: The Totally Awkward Adventure of Finding Mom Friends, you NEED to. I died laughing reading this book. Of course there is plenty of truth sprinkled in the laughs.